A LAOIS MAN who injured two gardaí by driving dangerously while trying to get away from a drugs bust has been jailed for five years. A garda pursuit in January 2016 involving Patrick McDonnell, 28, ended when he lost control of his car and crashed into a garda car. Dublin Circuit Criminal Court heard how McDonnell got out of the car and fled into the countryside. Sergeant Brian Farrell told the court gardaí were unable to locate him in what is a very rural area, but that the gardaí knew they were chasing McDonnell. McDonnell, of New Line Close, Mountrath, pleaded guilty to unlawful possession of cocaine for sale or supply, dangerous driving and reckless endangerment at Castlecomer on 27 January 2016. He also admitted possession of cannabis and cocaine at Ballyroan, Co Laois on 16 January 2016. Judge Martin Nolan said McDonnell was well known to gardaí and noted how he had said to one garda, David Montgomery, “I didn’t do anything Monty” when the garda tried to arrest him. The court heard gardaí were acting on information that drugs were being prepared at a location near the Kilkenny/Laois border. During a search gardaí found a tupperware container with 300g of cocaine in a clearing. They set up a surveillance operation and were hiding in the woods when McDonnell returned two days later to get the drugs. When armed gardaí told him to stop McDonnell ran to his car. A spiked strip was thrown across the road but McDonnell just drove across this, bursting all four tyres, and drove onto the main road. He drove erratically and at speeds of up to 100km/hr. At one point his car rammed the side of a car coming out of a driveway, sending that car into a hedge before driving off. Judge Nolan said McDonnell drove recklessly and endangered the life and safety of gardaí and a civilian in a reckless and dangerous manner. In the earlier incident, McDonnell was in a car which was stopped at a garda checkpoint. 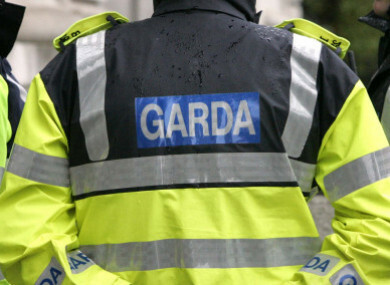 Gardaí searched the car and found €1,170 worth of cocaine and €2,568 worth of cannabis. Judge Nolan said that, unlike many cases, the drugs in this instance belonged to the accused and he was going to deal these drugs for profit. He said the amount of drugs were at the lower level. He imposed a sentence of five years. Seamus Clarke SC, defending, said his client was a father of three with significant health issues, including myofascial pain syndrome juvenile fibromyalgia. Email “Man who injured gardaí while trying to get away from drugs bust jailed for five years”. Feedback on “Man who injured gardaí while trying to get away from drugs bust jailed for five years”.